I’ve really switched up my skincare routine this summer. I’ve started using an exfoliator every other night or so to refresh my skin. I’ve also replaced my nighttime moisturizer with an argan oil, which I was initially nervous about doing. Oil on my face? I thought it would become breakout city, but surprisingly, the oil works really well in the summer humidity and hasn’t made me break out at all. I’ve also started using retinol underneath my eyes to try to combat dark circles; I was pretty skeptical at first, but I’ve noticed a difference after a few months of using it. 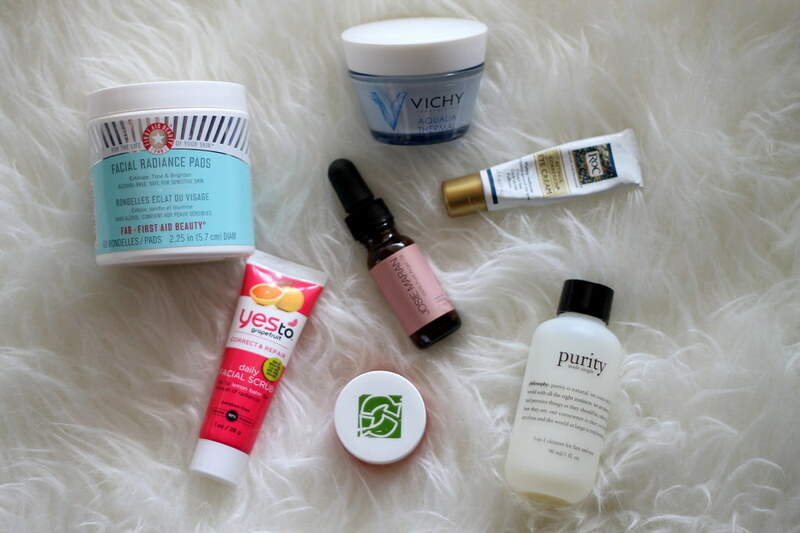 Shop all of my current skincare favorites below.